Let me start by telling you how much my husband went NUTS over this recipe! I served it with grilled steak, but he told me that he’d be happy eating Greek Pasta Salad all by itself for dinner. This is such an easy recipe, and it performs perfectly as a side dish to your favorite meats. 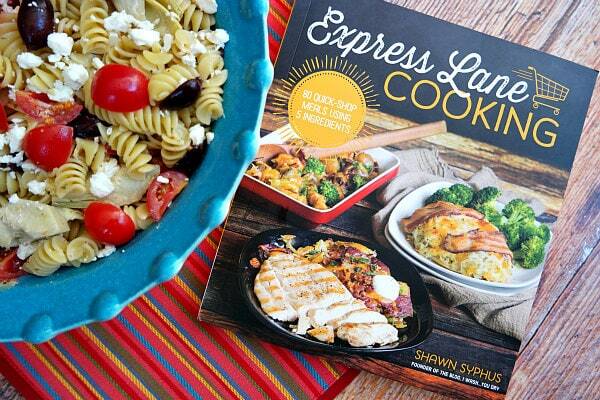 This recipe comes from a fun new cookbook by my friend Shawn Syphus (I Wash You Dry blog): Express Lane Cooking. The theme of this cookbook is 5-ingredient meals. 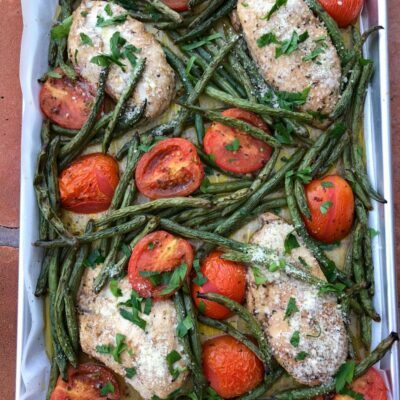 There are more than 5 ingredients in each recipe, but the other ingredients in each recipe are things that you might typically already have in your pantry. Syphus shows you how to make 3 delicious recipes with 5 key ingredients. For example: with pork tenderloin, brown sugar, onion, balsamic vinegar and soy sauce… she shows you how to make Slow Cooker Balsamic Glazed Pulled Pork, Bacon Wrapped Pork Tenderloin and Sweet and Sour Pork Stir Fry. It’s a neat premise, isn’t it? It took me all of 20 minutes to put this together. It’s best if it sits in the fridge for a few hours to let it soak up the dressing. Give it a toss when you’re ready to serve, and it’s good to go! Prepare the pasta according to the package instructions. Once the noodles are tender, drain them, run cold water through them until they are cooled; drain again. 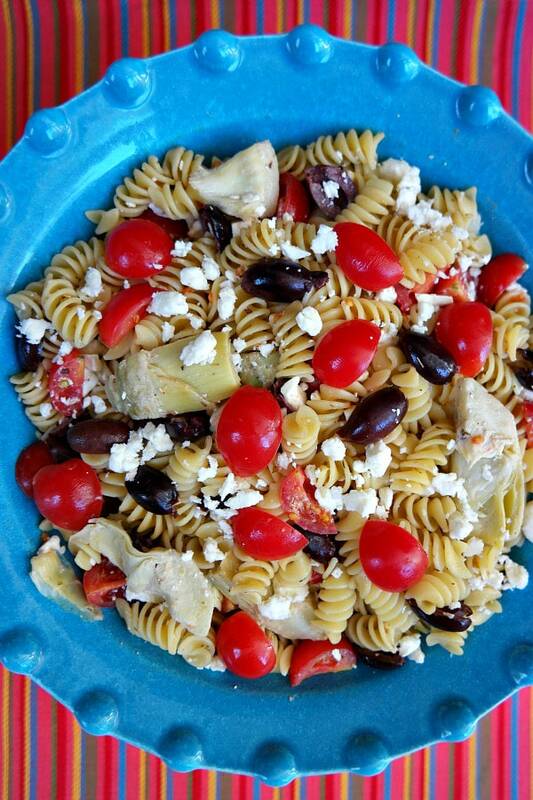 In a large bowl, combine the pasta, tomatoes, olives, artichoke hearts and feta. 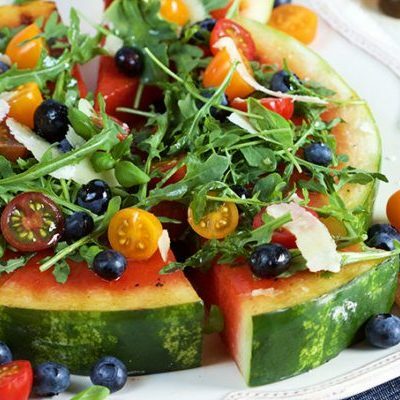 In a separate medium bowl, whisk together the dressing ingredients. Pour the dressing over the pasta and toss to combine. Cover the bowl with plastic wrap and refrigerate until ready to serve. Toss again prior to serving. 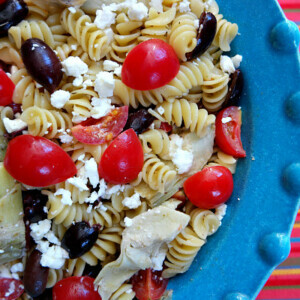 Caprese Pasta Salad by Kleinworth & Co. 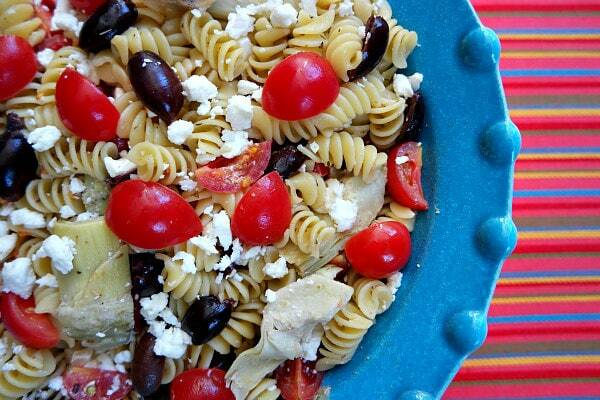 I love Greek salads and feta cheese in just about any salad! I think grilled steak strips would also go great in the salad.Mmmm!